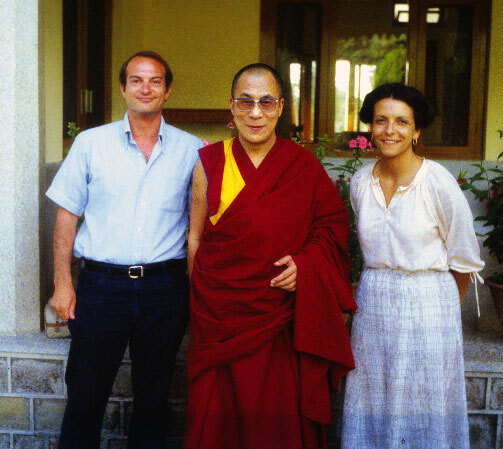 Dr. TobyWeiss and Teri Weiss with His Holiness the Dalai Lama at his home in Dharmsala. Dr. Toby Weiss, founder of Power Places® Tours, and Theresa Weiss, director of Power Places® Tours, Inc. are recognized as the foremost international authorities on Power Places and ancient healing sites. They have years of first-hand experience in creating and leading spirit-centered excursions to the world’s most spiritual and powerful places. Dr. Toby Weiss was inspired to create Power Places® Tours, Inc. almost 35 years ago while traveling in the Yucatan Pensinsula. Cited in 2006 as the “Granddaddy of Spiritual Tours” by National Geographic’s “Traveler” Magazine. 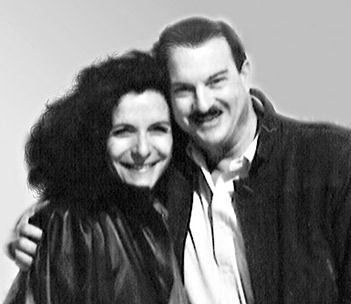 Dr. Toby Weiss coined the term “Power Places®” in 1979. “Power Places” is now a commonly used term that relates to many spiritual and special sites around the world with special powerful energies. Power Places® Tours is the oldest and largest transformational conference and tour organization in the world. For almost 35 years since Dr. Weiss first coined the term “Power Places”, unique experiential travel programs have been offered. Beyond taking you to the world’s most breathtaking spots, you will participate in the extraordinary energy and power of these sacred sites. You will not only see and visit the power places, you will experience them. With Power Places® Tours’ 3 decades of experience in creating, planning, and executing transformational and spiritually based international travel programs, speakers and many organizations from past travel program events have nothing but enthusiasm and excitement when they speak of the event they participated in with us. One point stands out…The synergy created at these events from joining people of like mind from all corners of the globe at a Power Place provide once-in-a-lifetime “peak” moments. Power Places® ToursInc. offers a unique product in the tour and conference business. Our unique international travel programs and seminars have received frequent media coverage, including spots in “The New York Times”, “National Geographic’s Traveler Magazine”, “Newsweek”, “USA Today”, “Time Magazine”, ” New Woman”, “The Wall Street Journal”, “The Los Angeles Times”, and “Longevity”, to name a few. Their unique travel programs have been written about on the front pages of The Wall Street Journal and San Francisco Chronicle as well as feature articles in USA Today, the Los Angeles Times, New York Times Magazine and other major publications. Power Places® Tours, Inc. has also received national television coverage, having been featured on CNN’s Travel Guide and on a segment of “Eye-to-Eye with Connie Chung”, CBS. Their unique and special relationship with metaphysically oriented guides and indigenous local spiritual leaders opens doors for those on their tours that are closed to most travelers. They have met with spiritual leaders such as Rev. Michael Bechwith, (“The Secret”), and with ministers from UCRS, and Unity who provided them insights into the human spirit that few others can match. Dr. Weiss has been an active student of metaphysics and spirituality for over 40 years. 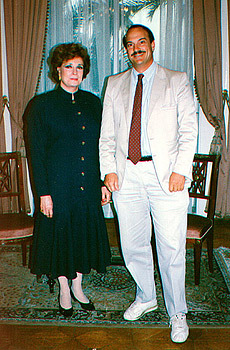 A multi-lingual professional, his academic credentials include Phi Beta Kappa; a Ph.D. in “The History of Consciousness” from the University of California; Fulbright Fellow to the University of Vienna, Austria, where he personally assisted Dr. Victor Frankl and translated Frankl’s “The Unconscious God”; honorary Woodrow Wilson Scholar; B.A. from Williams College; and a Masters Degree in Existential and Phenomenological Psychology. Dr. Weiss was a professor of psychology at the California School of Professional Psychology and at United States International University, both in San Diego. He has taught and lectured at the California State Universities and other universities throughout the West, to physicians, nurses, and other health practitioners, on healing, ancient healing methods including the laying of hands, and other related areas. Theresa Weiss creates and designs the travel programs and is in charge of the on-site tour and conference management. She is widely acknowledged as one of the world’s outstanding tour managers. Her twenty years experience, from 1970 – 1990, as a nurse and Nurse Practitioner, including an advanced degree from the University of California at Davis, provided a rich background in attending to the deep personal, physical, and emotional needs of others. Her spiritual sensitivity to the energy of the sites coupled with her natural compassion and tireless efforts to fulfill each individual’s travel dreams combine to create magical experiences for Power Places travelers. Theresa’s extensive studies and practice of holistic health and psychoneuroimmunology, dating back to the early 1970’s, earned her listings in both Who’s Who of American Women, and Who’s Who in Science and Engineering. Toby & Theresa Weiss’ unique backgrounds makes it possible for Power Places® Tours, Inc. to envision, create and offer travel programs unlike those available from any other travel company.